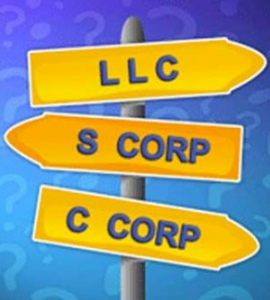 As a new gym owner, looming legal and business matters can flummox you—among them the decision whether to file as an LLC or corporation. Infiniti Elite Athletics owner Cari Ann Bulzone says filing as an S-corp was one of the first things she did when she took over the program from its previous owner in 2012—and it was a learning experience every step of the way. “It’s not something to take lightly; gym owners should definitely do their homework,” says Bulzone, who used LegalZoom as a resource and to facilitate filing. Liability: Trixie Bennett, executive director of finances/services at Copperas Cove, TX-based GymKix, says that when the gym was set up, protection from liability was her top priority. She chose to go the LLC route because it’s cheap and quick: “LLCs are like the “low-fat” versions of corporations. It gave us the same legal protection as a traditional corporation but with half the ‘fat’ [aka red tape],” says Bennett. For example, at GymKix (which is an LLC), any earnings or losses “pass through” to the co-owners and are included on their individual tax returns and taxed at their individual income tax rates. “If you’re a single owner, this might not be too good at tax time as all the profits would be added to your individual income tax return,” cautions Bennett. Multiple Locations: Skaw of Thunder Elite says if you’re a single-location gym, LLC can be a very viable option. However, “if you have multiple partners and multiple locations, a corporation makes more sense,” he advises. And gyms can have it both ways—even if a gym starts out as an LLC, it’s possible to make the switch to corporation as your business grows and multiplies. “Most states have conversion statutes where you can convert from one to the other,” says New York-based attorney Trippe Fried. However, switching may be time-consuming and/or expensive. “Though you can switch back and forth, there are fees, and in some states like New York, it can be complex,” says Fried. “You [also] have to transfer the corporate documents into LLC documents or vice versa, so there is some paperwork involved.” In some states, gym owners must go as far as creating a separate entity and then merging the LLC into the corporation (or vice versa). “The result is the same, but it’s a little more expensive from a filing perspective and considerably more paperwork,” points out Fried. Visit our blog for a rundown of the different types of corporations that might work well for gym owners! You can also find handy forms and resources in our “Biz Docs” section.